Koenigsegg is an expert when it comes to carbon fiber. After all, the small Swedish company was the first to offer carbon fiber wheels straight from the factory. 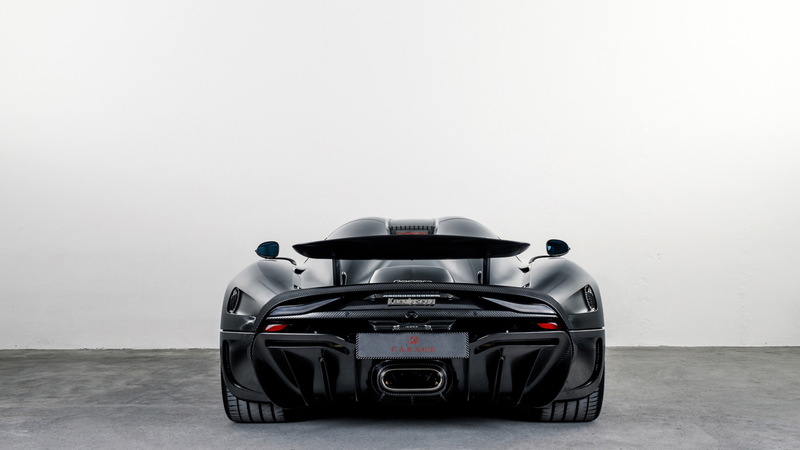 Now it's ventured into a new realm concerning the light yet sturdy material: Koenigsegg Naked Carbon. Shown here on a Regera, Koenigsegg Naked Carbon, or KNC for short, is bare carbon without any lacquer or varnish. In fact, even the thin epoxy that normally coats autoclaved cured carbon fiber has been carefully removed by sanding and polishing. According to Koenigsegg, the process is extremely sensitive as one stroke too many will ruin the look. The result are bare carbon fiber panels—but not like we're used to. The surface is cold to the touch as the material is pure carbon, instead of an insulating epoxy or lacquer layer with carbon underneath. The surface also features a more metallic appearance as each carbon strand is now fully exposed. Koenigsegg has previously applied the process on individual parts, such as splitters and wings, but this is the first time an entire car has received the KNC touch. To ensure it can handle extreme weather, test samples were left outside during hot summers and freezing winters for several years to ensure the finish can endure the elements. Interestingly, KNC is actually tougher than carbon fiber coated in a lacquer or varnish. This makes it less sensitive to stone chips and sharp objects that typically cause scratches on coated carbon fiber surfaces. And without any paint or clear lacquer, KNC also results in a weight saving of approximately 44 pounds compared to a conventional finish. This first KNC Regera is headed to a customer in Switzerland. All Regeras come with a powertrain combining a 5.0-liter twin-turbocharged V-8 with an electric drive system for a total 1,500 horsepower. This is enough to propel the car from 0-186 mph in only 10.9 seconds. Keep the pedal mashed to the floor and the car is said to be capable of hitting a 248 mph top speed less than 10 seconds later. And in case you were wondering, all 80 build slots for the car have been sold—but don't sweat it as the company will unveil a new model next March at the 2019 Geneva International Motor Show.